I cut out the chimney from source and added it to the bottle neck. Then I reduced the length of bottle and combined the different parts. I integrated the skeleton and added some smoke from source. I opened the wood and window externals and changed the colour of the wood to a strong brown. After that I created light reflection on the ground. 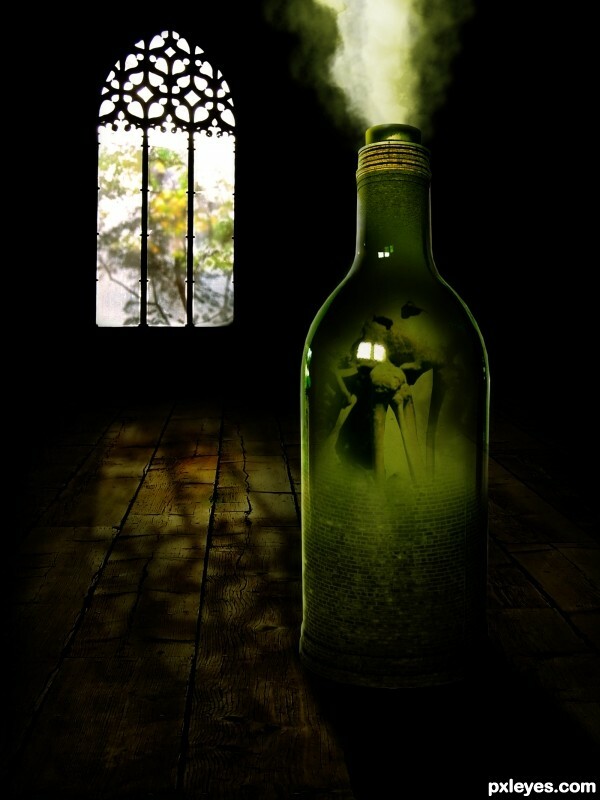 I added shadows for a "creepy" effect and adjusted the bottle to the background. The bottle got its shadow and I put some light effects on the bottle. I cut out the chimney from source and positioned it over the bottle. Finally changed the overall mood to green!